October 28, Brown’s first eligible date to emerge from LTIR wilderness, is appearing like a pretty good target date. –Anze Kopitar began feeling ill overnight prior to the Islanders game and progressively felt worse during the day on Thursday, eventually developing a fever. He didn’t play, marking the 12th game he’s missed over the last seven-plus seasons. Confined to the couch, he watched the first period before falling asleep at around 8:30 p.m. and waking up to check the score early the next morning. Yikes! He returned to practice Friday and felt better than he had one day prior. “By the looks of it now – because I feel pretty good now – it must’ve been some 24-hour thingy,” he said. 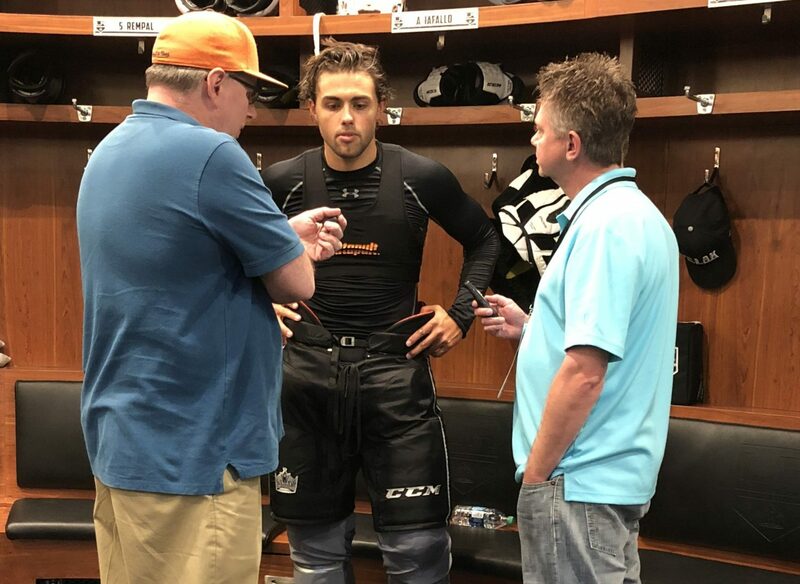 Though it passed quickly, Kopitar was skeptical to think he had a case of food poisoning because his house guest, Jaret Anderson-Dolan, was with him the previous afternoon, and they ate the same food, he said. 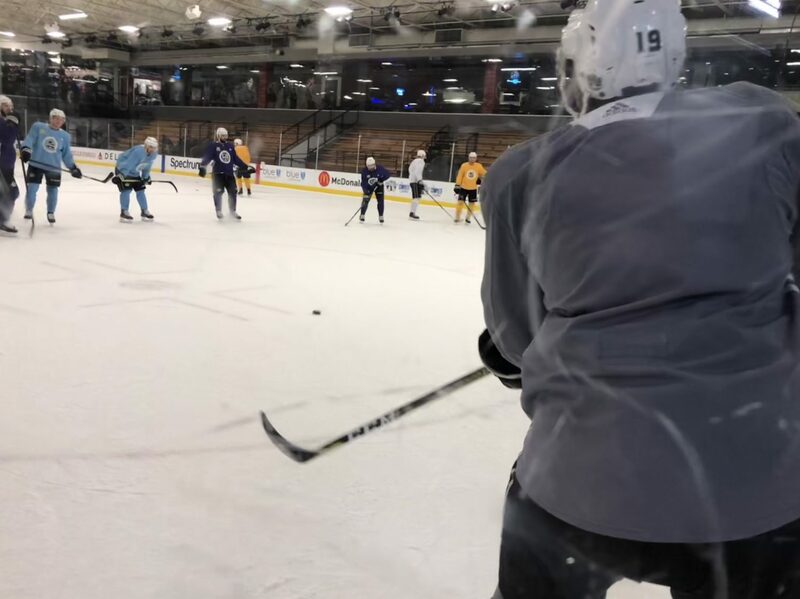 Kopitar expects to play in Saturday’s matinee against Buffalo (12:30 p.m. / FOX Sports West / FOX Sports app / LA Kings Audio Network), where he’ll be among the figures counted upon to right the ship after three consecutive losses by an aggregate count of 16-4. Even though the team clearly hasn’t figured things out early in the season, Kopitar isn’t ready to wave the white flag. –Given the context of the early-season run of play, it’s not surprising to hear some emotion-driven responses after a 7-2 drubbing. One of those responses came from John Stevens, who spoke on behalf of a lot of people at Staples Center on Thursday night when he said that the team “just stopped playing” after the two-on-zero shorthanded goal that put the Islanders back up by two goals in the third period. But that’s not an observation that will necessarily sit well with hyper-competitive athletes, even if Thursday’s game snowballed into a third period debacle in which the Islanders scored four unanswered goals to turn a tight game into a rout. Drew Doughty bristled at such a notion. The question was posed to Stevens as to whether he was trying to “light a fire” under the group. Whether or not there was a post-game, heat-of-battle emotional resonance that influenced his choice of words Thursday night, Stevens articulated his point and acknowledged that he thought the team, once it fell behind 4-2, began to freewheel and take matters into their own hands. Doughty downplayed a question regarding whether Los Angeles was trying to do too much but did note the breakdown of schemes and systems, which he acknowledged could be driven by the frustration over the team’s early season struggles. A significant issue in Thursday’s loss was the team’s inability to win puck and net-front battles, particularly when trying to generate second opportunities around Robin Lehner. The lack of detail and one-on-one competing was reflective in energy-type players like Leo Komarov, Casey Cizikas and Scott Mayfield posting standout nights against their L.A. counterparts. At practice on Friday, there were battle components sprinkled through a number of net-front drills. Congratulations to Alex Iafallo’s sister, Juliana, who scored her first professional goal for the Buffalo Beauts last weekend. Be on the lookout for Iafallo-related stories from the Buffalo News and The Athletic over the coming days.